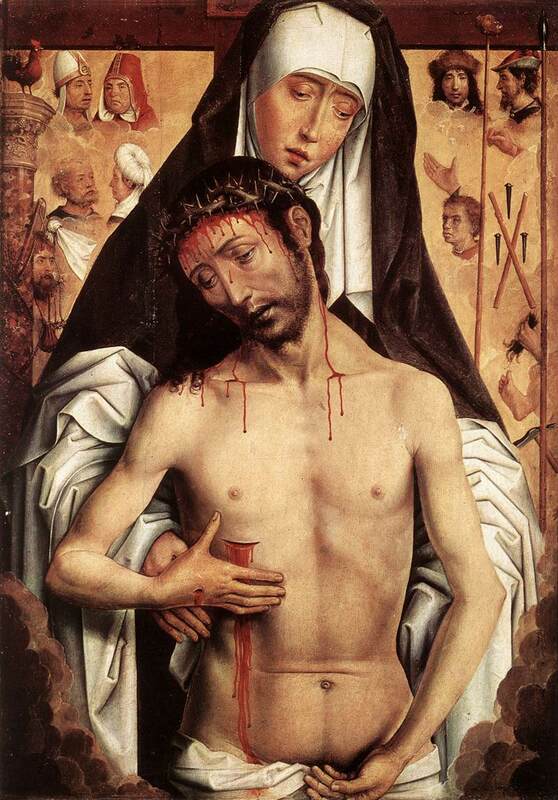 The Sorrowful Mysteries of the Rosary are a contemplation of the Face of Christ in His sufferings. “There is no beauty in Him, nor comeliness: and we have seen Him, and there was no sightliness, that we should be desirous of Him. 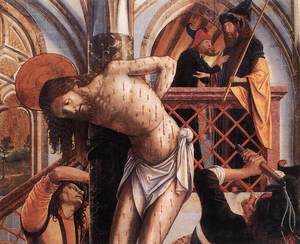 Despised and the most abject of men, a man of sorrows, and acquainted with infirmity: and His countenance was as it were hidden and despised, whereupon we esteemed Him not” (Is 53:3–3). W e will be celebrating the Votive Mass of the Most Precious Blood today, without however forgetting Saint Paul of the Cross, founder of the Congregation of the Passion. In the following text, Saint Paul of the Cross is counseling a lady who, after having made her confession, was beset with doubts. He recommends confident recourse to the Blood of Christ over all else. “You fear that you have not made good confessions because of lack of sorrow and purpose of amendment, and that you did not confess correctly. However, you tell me that you did what you could to confess your sins as they are in God’s sight. At least that was the way you wished to set them forth. 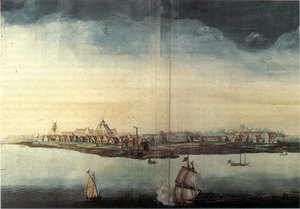 The painting depicts New Amsterdam (Manhattan) circa 1668. David and Mary Ann went on pilgrimage last week to the Shrine of the North American Martyrs in Auriesville, New York, about three hours away from here. Auriesville is the site of the martyrdom of Saint René Goupil on September 29, 1642, of Saint Isaac Jogues on October 18, 1646, and of Saint John de La Lande on October 19, 1646. 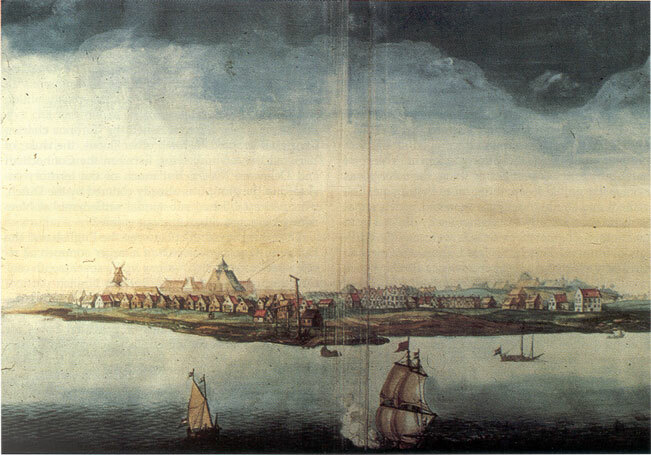 The New Haven Colony had been founded by John Davenport and Theophilus Eaton only eight years before, in the spring of 1638, two years after the ordination of Isaac Jogues to the priesthood. Captured by the Mohawks in 1642, Isaac Jogues was forced to follow them to their winter hunting grounds, where he did the hard work of the squaws and slaves. After his labours, he wandered about the forest, chanting psalms or praying before the symbols he had carved into a tree: the Holy Name of Jesus and the sign of the Cross.